Sword Art Online seasons 3 and 4: May see adventures of Kirito in the Underworld; Alicization as the main plot? Fans of Sword Art Online may have to wait a little longer for season three as there is still no official details released yet regarding the release date. However, in terms of the storyline, Inquistr has detailed what may happen as “alicization” is used as a long term plot for season three that can extend up to season four. According to their report, the new season will see the adventures of main character Kirito, voiced by Yoshitsugu Matsuoka, in the Underwold with new friends Eugeo and Alice. Kirito is said to work as a beta tester in the real world for FullDrive technology from the company, Raft. They created a game where the user’s consciousness or “Fluctlight” can be directly connected to the Underworld by a Soul Translator. The report added that Kirito may face Death Gun in a confrontation. He will also find himself stuck in the game, with some memories missing and he cannot call the administration to pull him out. This is where the “alicization” comes in. When Kirito is trying the game, Japan Self-Defense force is creating an artificial intelligence called A.L.I.C.E. which stands for “Artificial Labile Intelligent Cybernated Existence” and which they hope can mimic the consciousness of a real person. 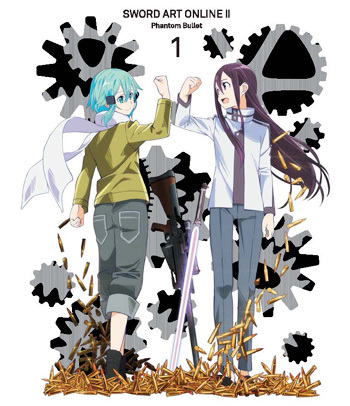 As the plot progresses, Alice and Kirito will cross paths and viewers will have to wait on how their story unfold. In the same interview, voice actor Matsuoka mentioned that having the character of Kirito is really interesting, “When I first start on the series, I try to explore how to make a character fun and interesting and how to make a character resonate with the audience. As far as SAO is concerned, after I finished the first episode I thought, “This is actually really, really fun!” So, I got pretty excited,” the report added.